Hey guys (and ladies), it’s been a while since I’ve had the chance to talk to you one-on-one. 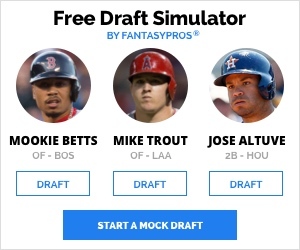 Normally, I don’t like to miss a day of work — I always want to make sure you get the best fantasy sports advice and info each and every week — but fatherly duty called. On November 15, my wife and I welcomed a beautiful baby girl into the world. Our daughter, Monroe (yes, partly named after New York Knicks’ legend Earl “The Pearl”), has kept us on our toes, but it hasn’t kept me from following all the goings on in the world of fantasy basketball. I’m officially back now, and my first piece will be a review of all the relevant (and some less relevant) NBA rookies and their impacts on the fantasy world. Each month I’ll be updating this. The order that I have these players in are basically my “rankings”, so in future posts you’ll see them rise and fall and I will have an explanation as to why. Towns is the No. 1 rookie for me, and it’s a no-brainer. Aside from a mini-slump during Thanksgiving week, the former Kentucky Wildcat has been nothing short of phenomenal in his inaugural campaign. The 20-year-old is leading all rookies in rebounds (9.1) and blocks (2.08), and he’s also second in points (15.4) and field goal percentage (53.5) and fourth in free throw percentage (83.8). There’s a reason Minnesota used their first overall pick on him. Barring injury, it would be an upset if KAT fell from the top spot at any point this season. There was a big to-do among the Knicks’ faithful when Phil Jackson took Porzingis with the fourth pick in the draft. Fans deemed this yet another failure in a long line of mishaps from an organization that has been the laughing stock of the league since the start of the century. Porzingis has proven everyone wrong, though, dominating on both ends of the floor for the surprising 12-14 Knicks. His offensive game is still raw, but he’s still put together a highlight reel of put-back dunks and timely threes. His shot blocking ability (2.0 per game) and aggressive rebounding (8.3) have made him the clear No. 2 guy on this list. 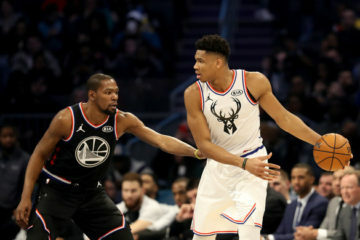 There was some worry that he had hit the “rookie wall” last week, but he responded by going for 11 points, six rebounds and seven blocks against the T-Wolves on Wednesday. Okafor hasn’t been great from a real-life standpoint, but he’s been a solid contributor to fantasy teams nonetheless. He leads all rookies in scoring at 17.8 points per game, and is averaging a healthy 8.1 boards. He’s also shooting well from the line, which is nice to see from a big man. He does, however, lack upside in steals and FG%, and though he’s got a decent 1.4 blocks on the season, he’s only managed 0.7 over his last nine games, which is more in line with his projections coming out of college. 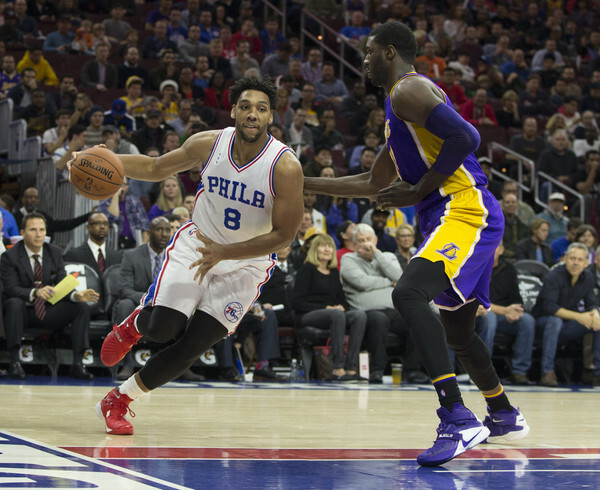 Okafor has probably made more headlines than any other rookie, but not for good reasons. He’ll need to show more on the court and behave better off of it before fantasy owners can fully trust him down the stretch. By this time next month it’s possible McConnell’s name isn’t even on this list, but he’s earned his place here so far. The undrafted rookie out of Arizona has been one of the nicer surprises in the NBA this season. Tony Wroten and Kendall Marshall began the season on the sidelines, and the 23-year-old rookie took advantage, averaging 6.9 points, 4.7 rebounds, 6.0 assists, 1.3 steals and 1.5 treys through his first 20 games. He was first among rookies in assists during that time. McConnell isn’t being used as much with Wroten and Marshall back in the fold, and it’s likely to stay that way unless one of them gets hurt again. It was fun while it lasted. Russell’s owners have had a tough pill to swallow with Lakers coach Byron Scott insisting on bringing the rookie off the bench in four of the last six games. Those four games sandwich two starts in which he averaged 18 points in 36.7 minutes. And how did he fare in those four games he came off the bench? 13.3 points in 27 minutes. It’s obvious to everyone not named Byron Scott (and maybe Jim Buss) that their prized rookie should be starting over the increasingly embarrassing Kobe Bryant, but it’s a forgone conclusion that it will be the Kobe show in L.A. this year as he winds down his Hall of Fame career. 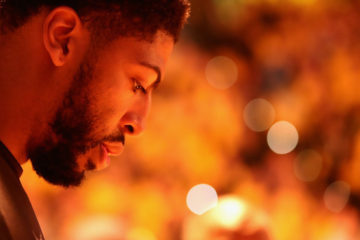 Russell’s owners have to hope his opportunities grow in the second half of the season. The rookie was shaping up as one of the few bright spots in an otherwise dismal season for the Nets, until he suffered a non-displaced fracture of his right ankle on December 4. He’s expected to miss the next eight weeks or so and will probably be on a minutes limit when he does return. It’s an unfortunate turn of events for fantasy owners who picked him up during a hot streak that saw him average 7.0 points, 7.2 rebounds and 1.7 steals from November 14 until the time of his injury. Owners in dynasty leagues should hold on, but he’s droppable in even the deepest of re-draft leagues. Things are about to get sticky in the Nuggets’ frontcourt with Jusuf Nurkic (knee) coming back within a couple of weeks, but that doesn’t take away from how Jokic has performed up to this point. Jokic wasn’t expected to play much this season, but injuries to Nurkic and Joffrey Lauvergne opened up some playing time for the rookie and he’s fared quite well. In 23 games (7 starts), the big man has enjoyed averages of 8.0 points and 5.0 rebounds and a tantalizing per 36 of 16.6 points, 10.3 boards, 1.6 steals and 1.0 blocks. He won’t get enough minutes this year to truly make a difference for fantasy teams, but the Nuggets have an exciting trio of Europeans set to roam the paint for many years to come. Johnson was the darling of the Summer League and preseason play, but he’s clearly behind guys like Ersan Ilyasova and Marcus Morris on the Pistons’ depth chart. His future is bright, but unless one of those other forwards suffers and injury or is traded, it looks like we won’t get a real chance to see the rookie shine until 2016-17. A thumb injury has sidelined the rookie since November 11 and he is shooting for an early-January return. Turner was offering owners just 6.1 points and 2.9 rebounds when he was playing, so there’s little to be excited about here in 2015-16. He’s worth monitoring in very deep leagues if you absolutely need his block potential. The Heat got a steal when Winslow slid to them at pick No. 10, and he’s proven to be very capable in his rookie season. He’s been great on defense and given the somewhat aging Heat a fresh body, but his stat line of 6.3 points, 5.1 rebounds and little else simply aren’t valuable in fantasy. Devin Booker can shoot, there’s no denying that fact. Minutes have just been so hard to come by for the Kentucky product, and thus, he’s best left on waiver wires. Mudiay has a huge opportunity in Denver. He’s the unquestioned point guard there, with only veteran Jameer Nelson to vie for playing time. The problem with Mudiay is that he can’t shoot and has been turning the ball over like crazy. His 31.1 FG% ranks him 399th out of 432 players who have seen court time this season and his 4.0 turnovers per game is the fourth-most in then NBA. Despite his upside, it’s pretty tough to own him right now because he’s actually bringing down your team big time. The Serbian import was worth owning when he was getting minutes earlier in the season, but that’s no longer the case. Through his first 12 games, he was averaging 7.3 points, 6.0 rebounds and 1.3 treys in 26.5 minutes, but he missed four games in November with a knee contusion, and he’s since his minutes drop off considerably since. In that span, he’s averaged a meager 4.1 points and 3.4 boards with just 0.7 threes in 16.8 minutes over nine games. The Wolves have also given Gorgui Dieng a big bump in minutes, which has been a big factor in Bjelica’s loss of playing time. Dieng is the far better player, too, so don’t expect that to change much unless Kevin Garnett decides to sit out some games. He’s nothing more than a flier in very deep leagues with the hope that Jose Calderon gets traded. Simmons has actually seen some decent playing time in recent weeks, averaging 17.3 minutes over his last six games, but it all it’s amounted to is 8.3 points and very few stats beyond that. The Spurs seem to have uncovered another gem, but he won’t have any fantasy value this season. 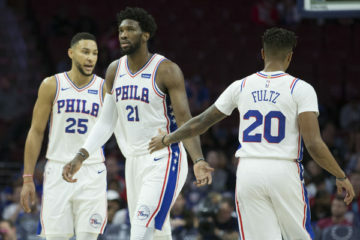 Playing for the Sixers always offers the potential for playing time, and it’s possible his opportunities increase as the season grows older, but for now he’s not worth adding. Cauley-Stein is out with a dislocated finger, but wasn’t much of a fantasy force prior to his injury, averaging just 4.8 points, 5.2 rebounds and 1.1 blocks in 18.9 minutes per game. There have been some DeMarcus Cousins trade rumors, and if that comes to fruition, WCS would see an uptick in minutes (when healthy), but for now he’s nothing more than a dynasty hold. If the Magic weren’t playing so well, the No. 5 overall pick in the draft might be getting more playing time, but at 14-11, the surprising squad from Central Florida has little use for their 20-year-old rookie. The 4-22 Lakers are in tank mode, but while the aforementioned D’Angelo Russell is blocked by Kobe Bryant, Larry Nance Jr. has very little competition in the frontcourt. He’s received 24.4 minutes over his last six games, averaging 5.5 points (48.4 FG%), 4.2 boards, 1.2 steals and 0.7 blocks in that span. Those aren’t anything to speak of now, but with a few extra minutes he could have some value after the All-Star break. Kaminsky may be the biggest bust of this year’s draft so far. The No. 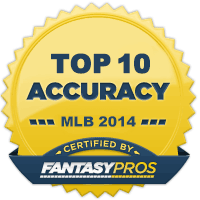 9 overall pick is scoring just 5.5 points per game and adding very little else to fantasy owners’ totals. The fact that he hasn’t even been able to produce while Al Jefferson has been on the shelf is a bad sign and a testament to how poorly Michael Jordan has drafted in recent years.